An online language-learning system with access to 60 foreign languages and 17 English language courses. Focus on words and phrases that will be the most valuable in common, real-life situations. Audio is recorded by native speakers, giving users the best possible model for their own pronunciation. A voice comparison tool allows users to speak into a microphone, see a visual representation of their pronunciation compared to the narrator’s, and adjust until they are as close as possible. Using semantic color mapping, literal translations, grammar notes and critical thinking exercises, users are able to easily identify and recognize linguistic patterns. 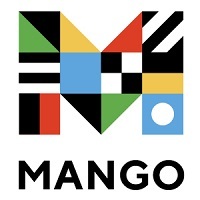 Can I use the Mango app? To use the Mango app, you will just have to create a Mango profile first through the library's Mango website. Mango is available both as an Android app or iOS app (for iPhone, iPod touch or iPad).